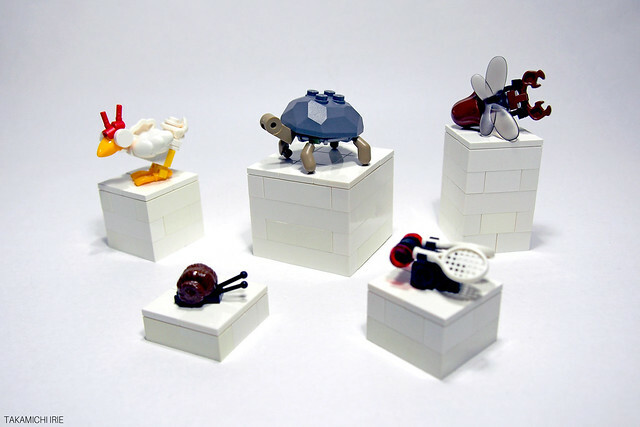 Takamichi Irie's tiny animals are making a large impression on many LEGO enthusiasts. When building your own animals, it is no easy task. The smaller you make the creatures, the less detail they have, and they look less organic. Now, some of these may not be scaled for minifigures, but if you went much smaller with these organisms, they wouldn't be nearly as cool. Which is your favorite?! Mine has got to be that rooster.